Kirstiekins Blogs: Mean girls clothing! 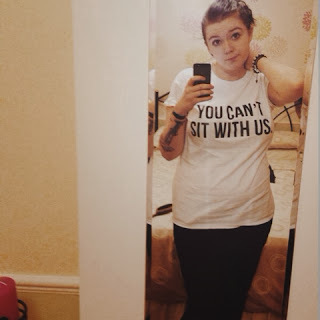 Mean girls will always be one of my favourite movies, and the fact that it will be loved for eternity on tumblr is just amazing! I haven't used tumblr that much lately, and I think that is because as much as I love it, I've come to a point in my life where I need to do something more productive than reblog pictures onto a blog that quite frankly isn't a real blog! Maybe it's an age thing, or maybe the facebookers have finally ruined it for the original tumblr users, sigh. Anyway, this isn't a rant about tumblr, infact it's quite the opposite! I can always count on tumblr for relatable quotes, funny pictures, and clothes I wish I could own. 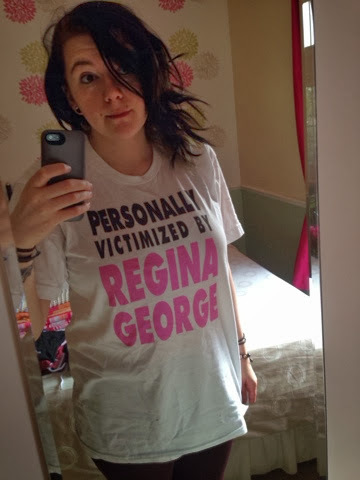 I found some mean girls tshirts on tumblr months ago, and decided I had to have them, I looked for them forever until I finally found a store online that sold them, and hey presto they are now mine! I'm probably going to buy a while bunch when I get paid at the end of the month, so check back for more, but until then take a look at these badboys!